In 22 years land-reform has barely altered the agrarian structure of South Africa, and has had only minor effects on rural livelihoods. Partly unintentionally, partly by design, land-reform has been captured by elites. The most powerful voices are those of traditional leaders, so-called “emerging” black capitalist-farmers (who often own other businesses), consultants, agri-business companies and white farmers. The strategic thrust of South Africa’s land-reform remains unclear. Agricultural and land policies have not been linked effectively. Little support has been provided to black smallholder-farmers and no land-reform farms have been officially sub-divided. The agricultural potential of South Africa is limited, with relatively little of its surface area suitable for crop-production. Much of the country is arid or semi-arid, with only 28% of the land surface receiving 600mm or more of rain per annum. Most land is suitable only for extensive livestock-production. Only 16.7 million hectares (13.7%) are arable, and 1.3 million hectares are irrigated. 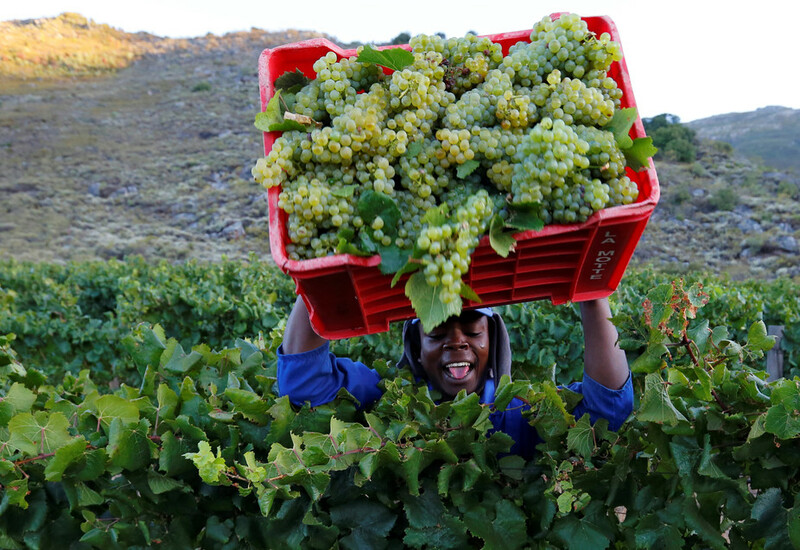 Since 1994, about eight million hectares of the total of 86 million hectares of white-owned farmland have been transferred to black South Africans through land-restitution and redistribution. Government’s initial target in 1994 was to transfer 30% of agricultural land by 1999, but slow progress led to the target-date being moved to 2014. Several thousand large rural restitution-claims are yet to be resolved, and about 20,000 settled restitution-claims have yet to be implemented. Amendments to the law in 2014 allow hundreds of thousands of new claims to be lodged up until 2019. Evidence suggests that about half of rural land-reform projects have brought improvements in the livelihoods of beneficiaries – but often these are quite limited. It is unclear how many recorded “beneficiaries” still reside on or use transferred land, or benefit from land-reform in any way. Evidence from the Limpopo province suggests that only a relatively small proportion do so. Institutions such as communal property associations and trusts, through which land-reform beneficiaries hold land in common, remain poorly supported and are often dysfunctional. Joint- ventures between claimant communities and private-sector partners have experienced major problems. Tenure-reform has largely failed. Farm-owners have worked out how to evict unwanted workers within the parameters of the law, or to (illegally) “buy out” their rights, and have done so in large numbers. In communal areas, the only legislation that secures the land-rights of residents is the Interim Protection of Informal Land Rights Act of 1996. This has had to be renewed every year. There are increasing reports of corruption by traditional leaders in areas with minerals. Many of the assumptions informing policy are highly problematic. A large-scale commercial-farm model informs assessments of “viability” and shackles thinking about how to support smallholders. Rural households are often seen as a homogeneous category, but are in fact highly differentiated. As a result, targeting of land reform is ineffective. Measures to promote the informal economy, including markets for food, are absent. Land-reform focuses mainly on rural areas but urbanisation and growth of informal settlements, some on communal land in peri-urban areas, mean that many key needs and opportunities are missed. A key spatial focus for smallholder-oriented land-reform could be redistribution near to towns and cities, close to growing urban informal food markets. Land-reform needs to make a fresh start. Realistically, land and agrarian reform is unlikely to reduce the poverty of most rural people. The creation of formal-sector jobs and non-farm livelihood opportunities for the majority of the population should be at the centre of poverty reduction policies. And a re-invigorated programme of land-reform could probably create a million new employment opportunities, as the National Development Plan suggests. Reconfiguring the country’s agrarian structure should be the main thrust of land and agricultural policy, along with measures to improve the food-security of the poor. However, securing tenure- rights should remain a key objective of land-reform, in urban as well as rural areas. 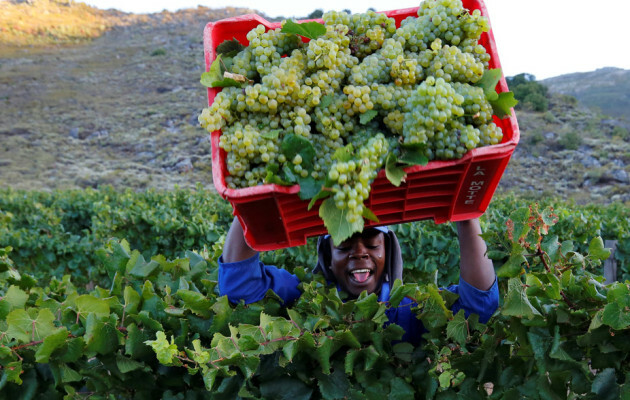 A competitive and increasingly concentrated agricultural economy has shaken out a large number of white farmers. However, about 70%-80% of farms produce only 20%-30% of value, and many of these are under stress from the current drought. This land could be acquired for redistribution relatively cheaply. The top 20%-30% of producers, 7,000 highly capitalised farming operations on about 20 million-30 million hectares, could then be left alone for two decades or so. This will ensure that land and agrarian reform does not put urban food-security and agricultural exports at risk. The land of the other 70%-80% of farming units, located on 50 million-60 million hectares, should be redistributed to 200,000 market-oriented black smallholder farmers. These farmers are often highly productive, despite the lack of real support offered to them. Policies should aim to support a process of broad-based “accumulation from below”, in which access to more land and water, plus well-designed support-programmes, provide a platform for increasing levels of output. Black smallholder-farmers currently tend to supply informal traders and loose value-chains that have less demanding requirements for fresh-produce than those of supermarket-chains and formal markets. Informal markets should be actively supported by municipalities. As their farms become more capitalised, some small-scale producers will improve the quality of their produce and begin to supply formal markets, and government could consider requiring supermarkets to meet quotas for smallholder-produce. Political rhetoric on land draws on a narrative in which white farmers and foreigners are villains, black South Africans are victims, and government (or an opposition party, or civil society activists) are heroes riding to the rescue. A political imaginary centred on `race´ tends to dominate land discourse. For many young activists today, “land” seems to connote the nation, sovereignty and control of the economy as a whole, rather than a resource used for food- production. The dual meanings of “land” in English elide the difference, but in nationalist and populist-discourses such elisions help to mobilise supporters. The current drought and rising food-prices remind South Africans that the practical challenges of land-reform are immense. How can the country re-organise the rural economy so that we achieve social justice, and at the same time feed growing numbers of urban residents at affordable prices? However valid the call for a fundamental rethink of the post-apartheid political order, this challenge cannot be ducked.